Put shredded plant material in the jarr without filling it, and put it in the freezer for 30-60 minutes. then remove from freezer and move up and down vigorously shaking the plant for a few minutes. 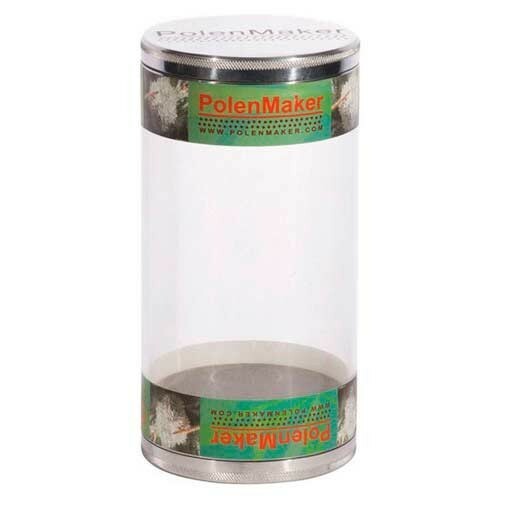 The result you will get by opening the bottom cover: pollen quality home.